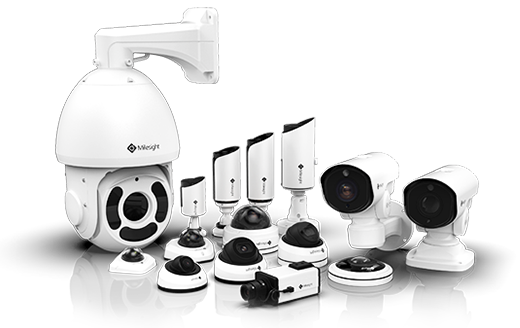 Milesight VCA provides advanced, accurate smart video analysis for Milesight network cameras, enabling the comprehensive surveillance function and quicker response of cameras to different monitoring scenes. Milesight Video Content Analysis (VCA) is an embedded application package for whole Milesight Network Cameras series which enhances the performance of Milesight cameras through 8 detection modes including region entrance, region exiting, advanced motion detection, tamper detection, line crossing, loitering, human detection and people counting. To protect a special area from potential threat of suspicious person’s or object’s entrance. An alarm will be triggered by enabling region entrance on the select regions. Make sure that any person or object won't exit the area that is being monitored. Any exit of people or objects will trigger an alarm. The function will pick any suspicious movement and trigger an alarm while filtering out “noise”, such as lighting changes, natural leaves movement, etc. The sensitivity can be configured to detect various movement according to different requirements. Used to detect possible tampering like the camera being obstructed or broken. An event will be triggered every time when the camera detects objects crossing a defined virtual line. When objects are loitering in a defined area for a specific period of time, it would trigger an alarm. When Human Detection is enabled, the camera will figure out whether it is a human or not in the monitoring area. Also the function allows to show the tracks of the moving object if the Show Tracks is enabled. People Counting is able to count how many people enter or exist during the setting period, helping you better manage your place. 2nd Software Park, Xiamen, Fujian, China.